I was wondering who's fault is that? 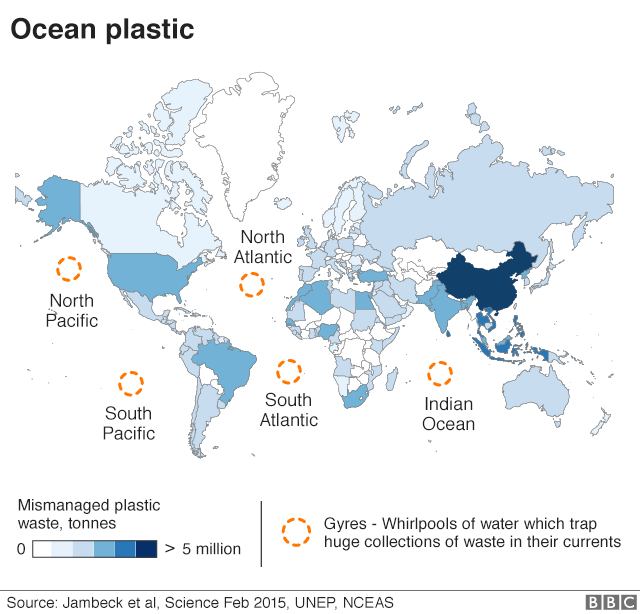 Who's responsible for plastic and garbage ending up in the water? Humans of course, who else? My next question is why? The answer is very simple. Because they don't care. It's easier to throw away garbage and plastic than deal with it. There was a time when people were throwing dirty water and excrement out of the window because they were uneducated and unaware of the risks. A few hundred years have passed since then and it looks like some parts of the world still need education. They still don't understand what are the risks. Collecting, recycling and reusing plastic waste means money spent but also money saved and this is not all. It needs an serious investment but it's necessary. I just wish governments could put aside greed, self interests and try to look at the bigger picture. Promises are made to be broken the minute they start governing. Educating people is also a must and it looks like it's going slowly. I don't want to point out different countries as there are plenty of bad examples in my own country. It's time to do something about it till it's not too late. Destroying the fauna is not an option. The plastic is too cheap. It have to be much expensive, and it will worth to recycling. If i use to shop in the philippines if it is not necesary i always refuse to use plastic bags. The funny when the sales people asking me why? Than actually i gave the same answer that your topic is all about. Also sad and i use to have a argue with some fellow steemians about that in the philippines the education is low. According to them they have a world class education but that is nonsense. even my farm i try to clean in often but my lovely neightbours always throw there they trash. Unfortunately a few decades are needed for people to wake up but till then a part of the planet will be grately affected. Sorry to hear about your problems, I hope once you are home there will be more opportunity for you and your family. I wish you luck!